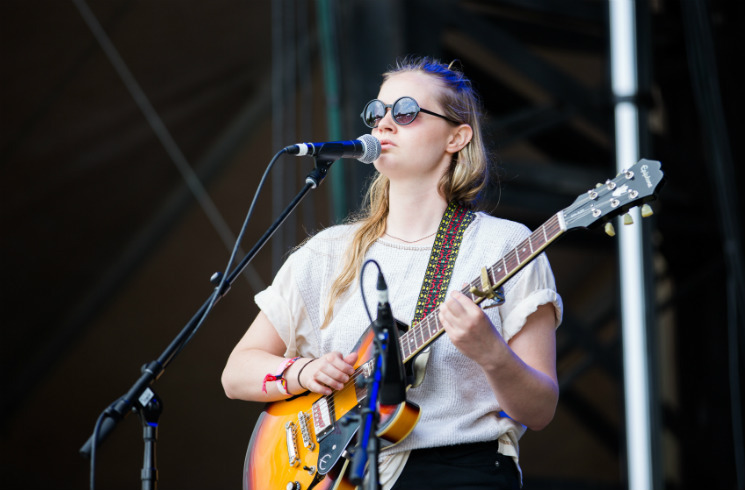 In a world where people often find themselves feeling over-stimulated, Charlotte Day Wilson turns to slower music for a sense of calm. "There's so much stress in our everyday lives, the last thing I would think of doing is putting on house music to walk down the street," she says. "I love dance music and I love going out, but it's all about finding a balance. I listen to something that will counteract stress and anxiety, and I guess that comes out in my own music as well." Wilson's latest EP, CDW, plays to such moods with its smooth, soulful blend of jazz and R&B, but she's not averse to something more upbeat. Having grown up on the music of Motown, the Toronto native started exploring R&B in her teens, citing everyone from Erykah Badu to Omarion as influences. But as a vocalist, producer and multi-instrumentalist, Wilson would rather not be confined solely to the blossoming alt-R&B scene she's been identified with. "I still don't really consider my voice an R&B voice — I feel that's a bit limiting," she admits. "When I was 18, I put out an EP and it was very folk-influenced; I was obsessed with Feist, Fleet Foxes and Bon Iver at the time. I don't think I'll stick [with] R&B for my whole career. I would love to have the kind of career where one album is a certain style and the next is another." Wilson has demonstrated both her power and versatility as a vocalist within a short period of time this year. Early singles "After All" and "Work," both of which are included on CDW, demonstrate an attention to phrasing and harmony respectively, while a guest appearance on BADBADNOTGOOD's IV saw her captivate listeners through numerous key changes on the sultry "In Your Eyes." "Every time someone introduces me to someone else as a singer, and I get asked 'What kind of music do you sing?' I usually say it's informed by soul music, but not that alone," she says. "I think it's hard to describe to someone what your own voice sounds like, even if you've heard it played back on recordings. "I sing the way that feels best: where I can feel all the resonating frequencies throughout my body and have things come out in a way that gives me chills."